The Govan Summer Ferry 2018 is back and will operate from Friday 22 June 2018 up to September 2018. The ferry, which is free to use, will operate daily between the hours of 8am – 6pm Monday to Friday and 10.00am – 5.30pm at the weekends. The ferry departs Govan from the pontoon at the bottom of Water Row and shuttles backwards and forwards continually throughout the day, with the last ferry departing Kelvin Harbour 6pm weekdays, 5.30pm weekends. There is space for bikes, so cyclists simply grab your wheels and get ready to sail. Be sure to visit Govan’s fabulous historic attractions. Discover Govan’s ancient history through the Govan Stones at Govan Old or visit Fairfield Heritage Centre to marvel at the story of Glasgow’s greatest shipyard. Take in lunch at the wonderful Cafe 13 and enjoy a stroll around Elder Park. Make a day of it by popping over to the Riverside Museum and the Tall Ship. And if you’ve been there done that, why not try one of our new Govan Hidden History Walking Trails? Hop aboard everyone and get into Govan. 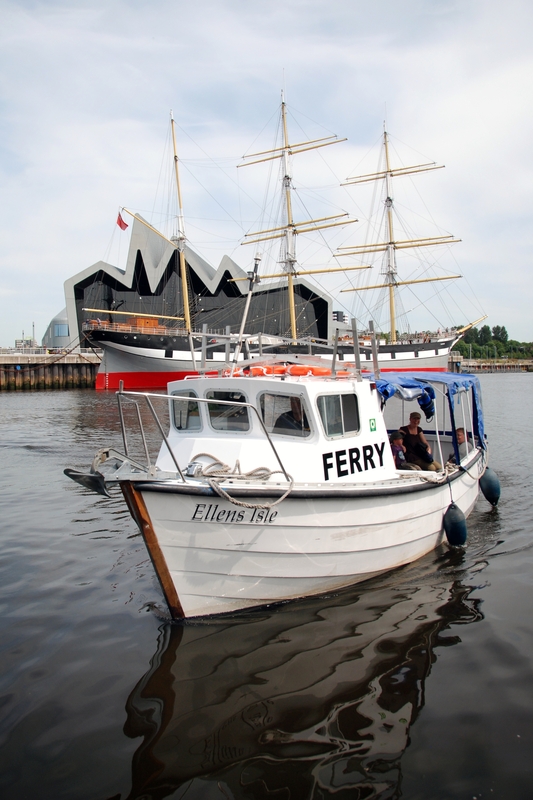 The Govan Summer Ferry is provided free of charge thanks to fundraising led by Govan Workspace and the generous donations of many local organisations and agencies. If you have limited mobility please contact Gregor Connelly on 07545 903 626 in advance of your trip so things can be prepared to make sure you have an enjoyable time with us. The ferry is not completely accessible but as long as you are happy to be assisted onboard, we would be delighted to take you out.